"To provide a cost effective and coordinated estates and facilities management service in order to give expert support to the University’s core business activities thereby enhancing the student experience." We support the physical learning environment through the provision of quality services and facilities which are safe, sustainable and sensitive to the changing needs of the University community. Our buildings are located on multiple campuses which are carefully managed. We provide services that maintain and enhance the University’s buildings, grounds and infrastructure. Our focus is to improve the student experience and workplace by advancing the built environment. At the University of Plymouth we want to make the transition to University life as easy and enjoyable as possible for new students. 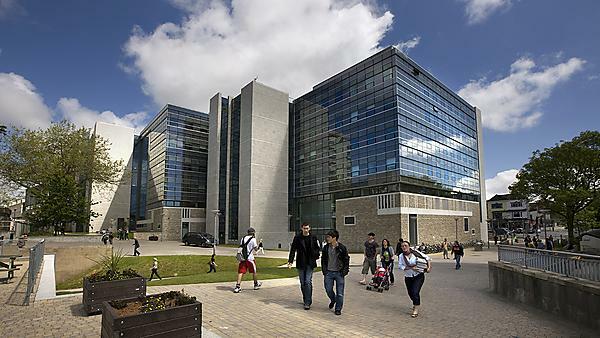 The Campus Masterplan sets out the rationale, the aims and the sequence of developments and improvements envisaged for the University’s campus in Plymouth over the next ten years. Following a period of analysis and consultation, a number of major projects have been identified that are aimed at addressing both long-term ambitions as well as more pressing requirements. They include a new development for academic purposes adjacent to the rail station, a new facility to replace the Brunel Laboratories on campus, an extension of the library to increase and improve space for learning, creation of open space and parkland on campus, a permanent building to replace the temporary marquee, and a redevelopment of the Main Hall. In addition to these, there will be a range of significant repair and refurbishment projects aimed at reducing the current backlog maintenance liability. This masterplan, which has been approved by the University’s Board of Governors, describes the level of investment expected to underpin these projects over the ten years which is estimated to be in the order of £250 million. Appropriate governance and oversight will be in place and each major project proposal will be assessed on its business case at the suitable time. Over a ten-year period inevitably the detail and timing of proposals may change, but having the masterplan is an essential and new framework for decision-making for the University, which has until this point relied on short-term, project-by-project, decisions. To contact the Estates helpdesk please follow this link. You can find more information by visiting our internal website for staff and students.